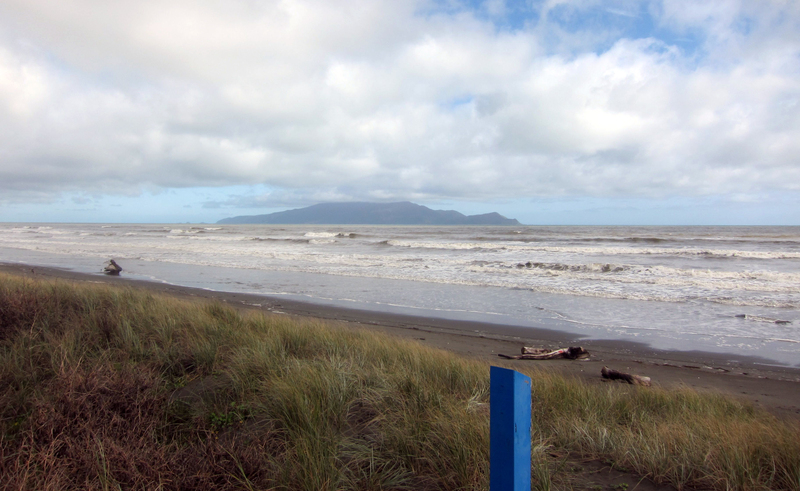 should keeping dogs on a leash on Waikanae Beach and in parks be mandatory? 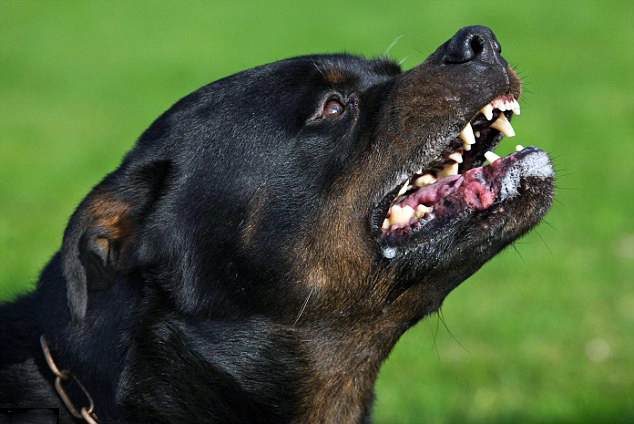 In the summer we were walking along Westshore Beach in Napier when a large rottweiler dog (not the one in the picture) came bounding towards us barking aggressively. Although it didn’t attack, it was a disconcerting experience. The woman owner showed up after about 20 seconds and called it away from us. We said nothing to her, but let her know from our look what we thought. 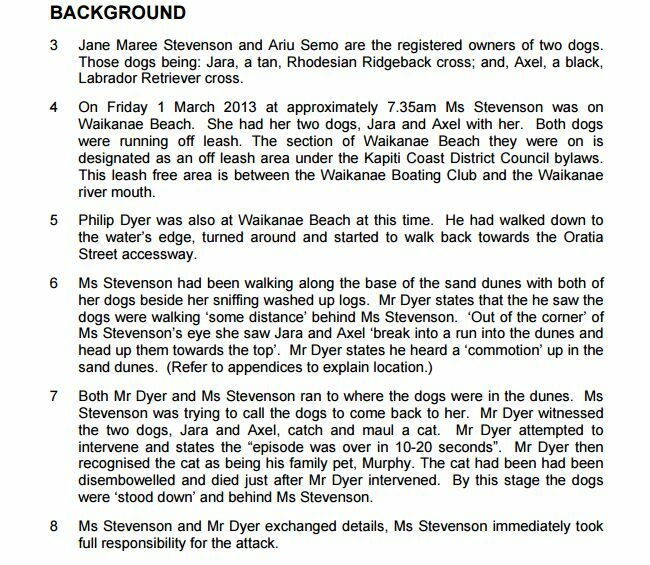 On the KCDC site there is this account of a Waikanae Beach woman, Jane Stevenson, who irresponsibly let two of her menacing dogs run loose on Waikanae Beach one morning when over a sand dune they found a man’s pet cat and mauled it to death. 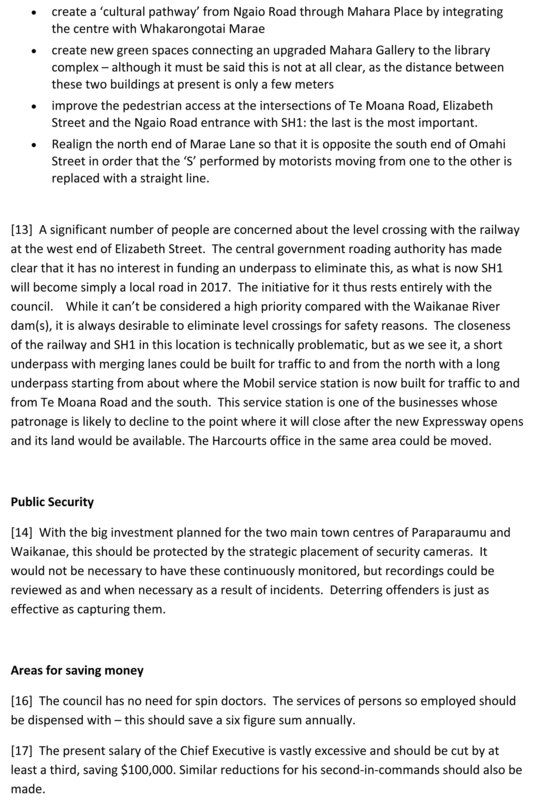 The council took the action detailed. 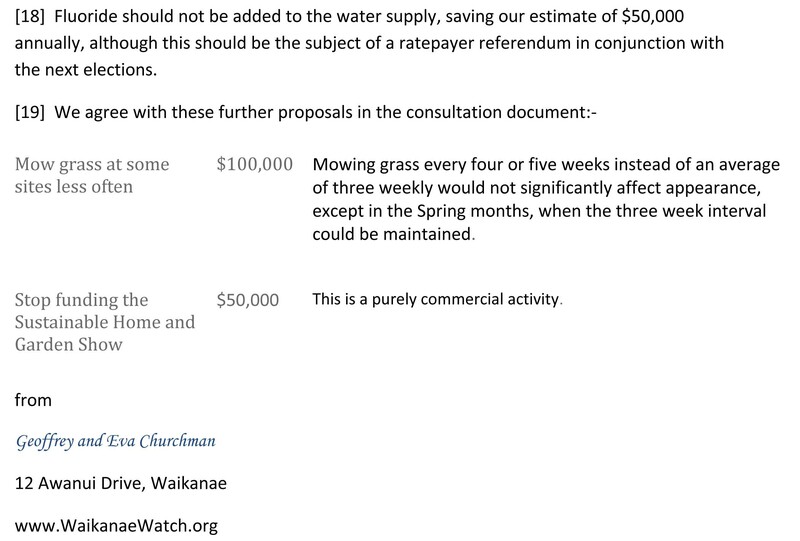 Our view is that dogs over a certain size (exempting ‘toy’ dogs like chihuahuas and poodles) should be kept on leashes at all times while on Waikanae footpaths, beaches and parks. What do you think? 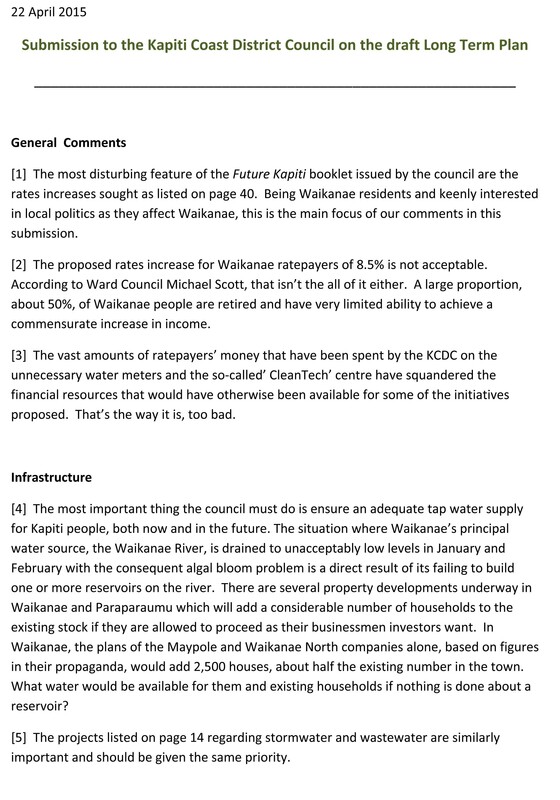 It seems Ms Stevenson didn’t like this post and threatened the KCDC to remove their case file from the public web, which they have. She also threatened Google to filter out this post from search results. In essence, however, the rest of the file states that the KCDC classified those two dogs as menacing which, among other things, means that she is required to have them muzzled when in a public place. 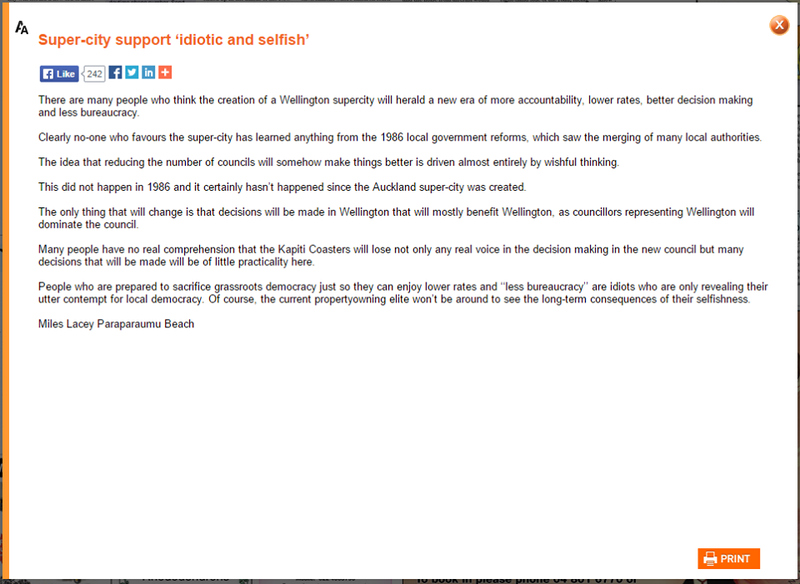 She appealed the decision and lost. 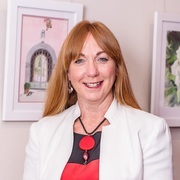 So if you see this woman with dogs that aren’t muzzled, report her to the KCDC — call 0800 486 486 from your cellphone, and use it to take a photo as evidence. 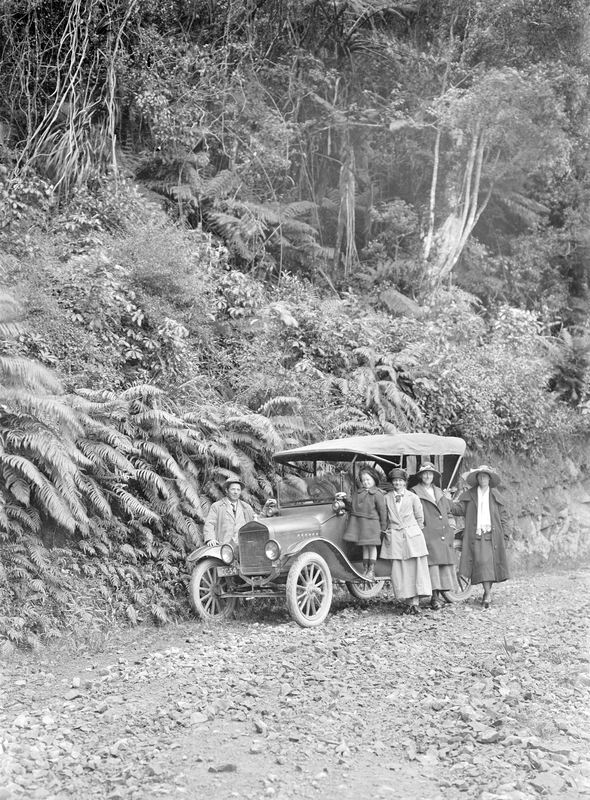 With their 1918 Model T Ford are from left: O. Robinson, unidentified, unidentified, Laura Godber, Phyllis Godber. The photo is by Percy Godber. Today this road is sealed but still narrow and winding. 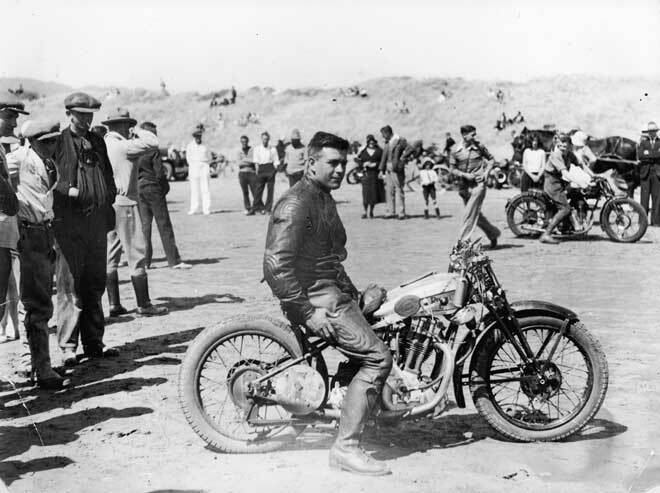 The photo shows Percy Coleman sitting astride a Royal Enfield motorcycle at a beach racing meeting by the Ixion Motorcycle Club, around 1930. 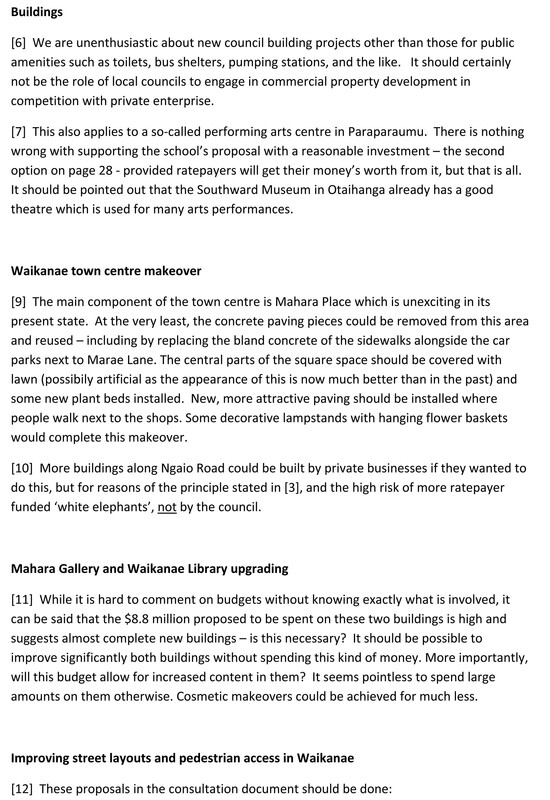 From the Te Ara website. 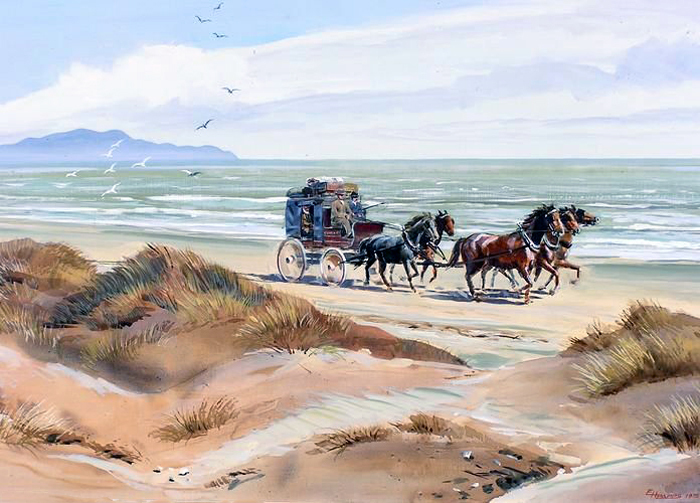 The painting shows a stagecoach heading north with Kapiti Island in the distance, probably set about somewhere south of Te Horo where the photo below is taken. Sent in by a reader. Looking east from near the beach at low tide. Our banner picture is obviously in the same area. 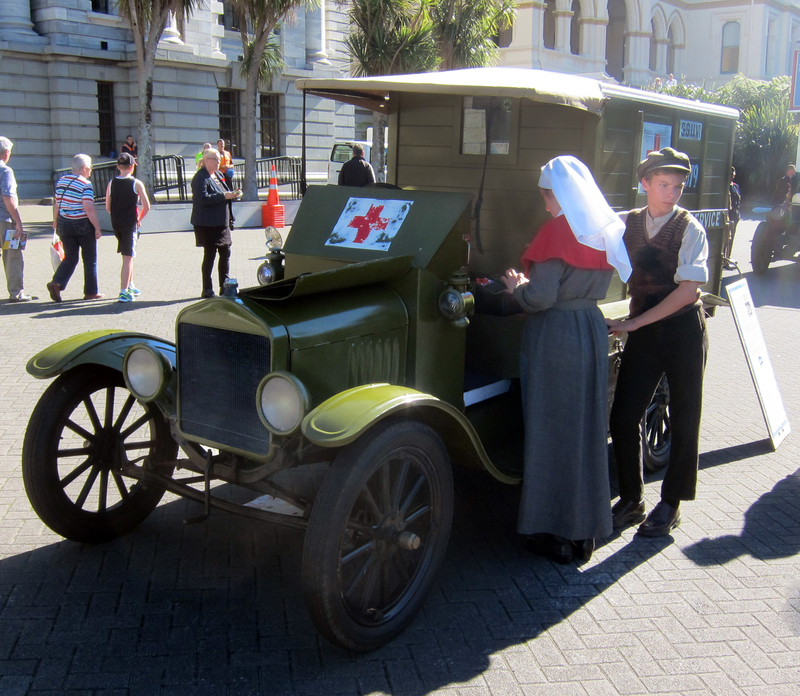 This is a photo taken yesterday at the parade organised using Peter Jackson’s collection of World War One vehicles. Although this is an American ambulance of WW1, this is particularly poignant for me as my father’s father was at Gallipoli in the Army Medical Corps. Even if he wasn’t directly in the line of fire it would have been no picnic attending to soldiers’ ghastly wounds. After the Gallipoli campaign was abandoned he spent another three years on the Western Front in France where he suffered from poison mustard gas — for the rest of his life. Mt father was also in World War Two in Divisional Signals and was wounded in the Western Desert. It makes us realise that whatever hardships we experience because of selfish, unpleasant and dishonest people in ordinary life, they pale into insignificance with the dreadful experiences of those who have been in front lines of war. 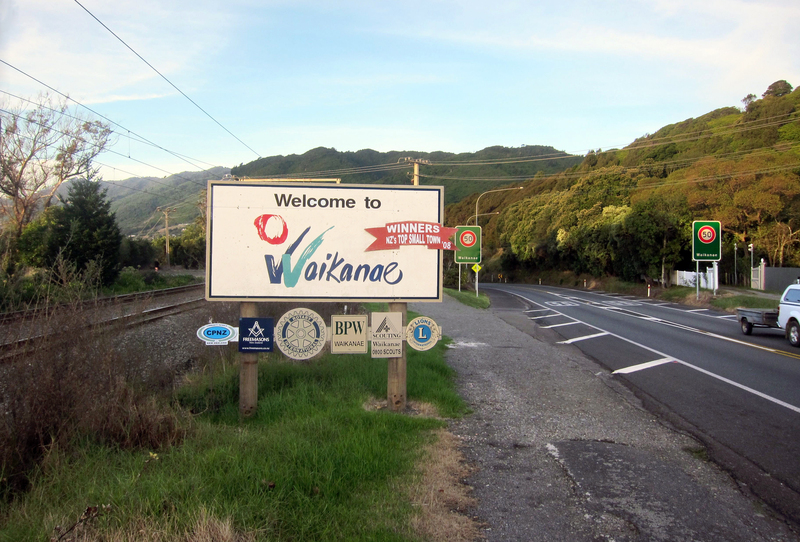 In Waikanae we honor the US Marines who were based here for three years during !942-1944, many of whom were subsequently killed in action during the Pacific War with Japan. 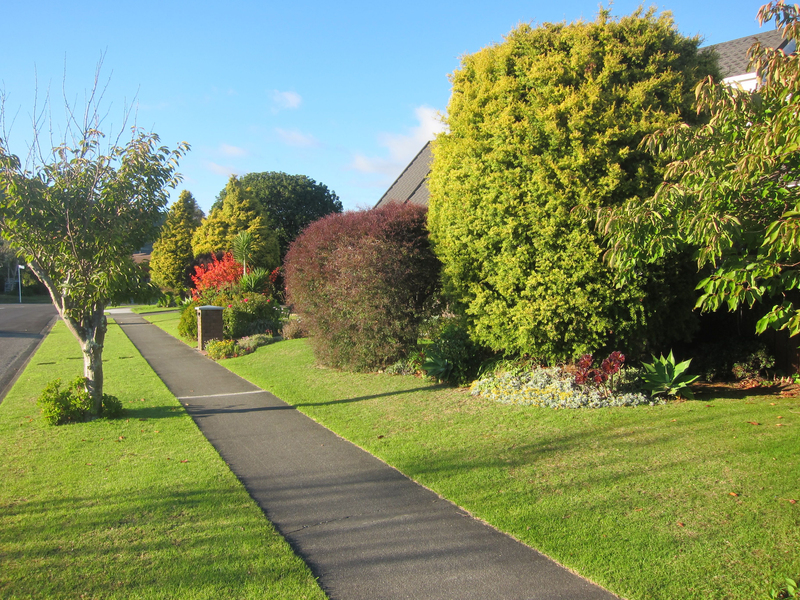 Part of the garden of the house on the corner of our street – 2 Awanui Drive in Waikanae. 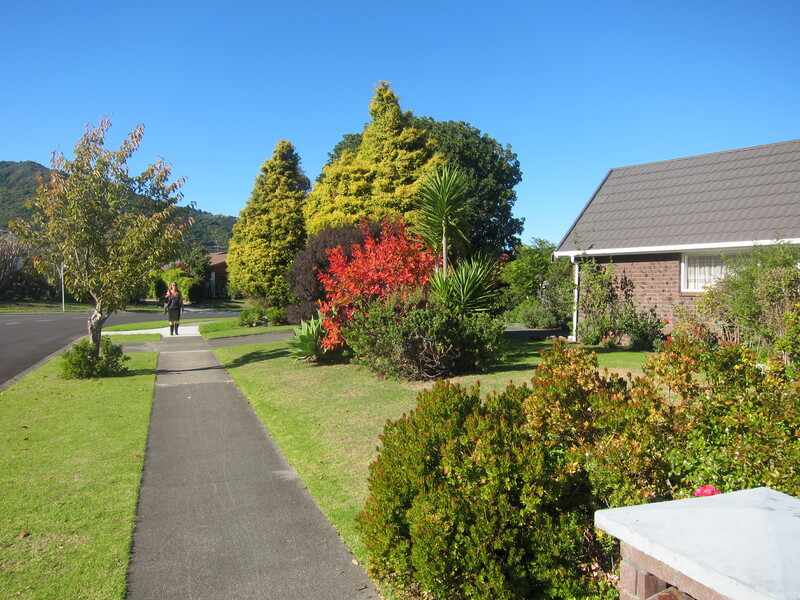 Unfortunately other houseowners nearby aren’t so enthusiastic about curb appeal, but this one compensates for that. Taken at about 5 pm today. While we miss this warmth of Summer, the lack of haze in the atmosphere from Autumn through Spring can make for nicer photos. 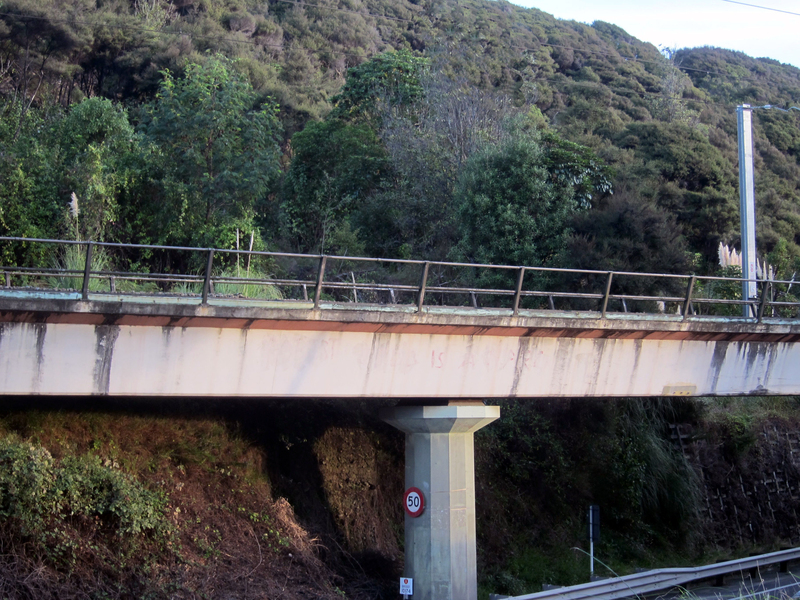 Although it is railway and not Council property, the Waikanae Community Board should have arranged to have this cleaned well before now.